These are some of our innovative projects that GIFT have supported to help restore the mauri of the Hauraki Gulf. A facilitation process that is specifically designed to restore the mauri of Tikapa Moana. Using principles from leading innovation processes, and bringing together a diverse range of people to come up with innovative and creative solutions to prototype. Sustainable Business Network: A grant of $396,300 over 3 years. With a grant of $396,300 over three years, this initiative will co-create, primarily with business people, innovative efforts to help restore the mauri or life giving essence of Tikapa Moana, The Hauraki Gulf. The focus will be action on plastic reduction, heavy metals and sediment contamination. This is a systemic, catchment-wide challenge. Sustainable Business Network will also work with others to unify and harmonise the work of all those protecting and restoring this national taonga. A grant of $50,000 to develop a technological solution using underwater sound to detect illegal fishing activities in the Hauraki Gulf. Support of $29,045 to trial a predator trap sensor system using SIGFOX technology in the Hauraki Gulf. Rochelle Constantine: A grant of $211,250 for the Pulse of the Gulf project. The project will determine the large- and fine-scale environmental drivers and interactions that influence marine megafauna, using a variety of innovative technologies. Motutapu Restoration Trust: A grant of $130,350 to field test a celium sensory network that is able to detect when a pest trap has been tripped and sends that information to the Internet. University of Auckland Foundation, as an umbrella for Andrew Jeffs: A grant of $25,000 to undertake applied research on rock lobsters to address kina barrens in the Hauraki Gulf, subject to the balance of funds being raised. Support of $43,060 to prototype an online platform to improve fish stocks. A grant of $84,000 to run an innovative leadership programme to improve the mauri of the Hauraki Gulf. Click here to read more about the project. A grant of $180,000 to undertake research in the Hauraki Gulf for assessing long-term changes to the marine ecosystem and to predict how seabirds could respond to future environmental threats. A grant of $116, 263 to scale up two prototype campaigns "Guardians of the Gulf" and "GiveChain"
Umbrella organisation for Dave Kellian, a grant of $50,000 to trial a new fish trap to reduce bycatch for commercial fishers. A grant of $27,720 to engage the charter fishing boat sector to identify opportunities to reduce seabird mortality in the Hauraki Gulf. A grant of $30,000 to bring together young people (including UOA students), creative professionals from diverse fields and interested people using the Hauraki Gulf to explore and prototype ideas that if implemented could influence the hearts and minds of Aucklanders to treasure the Hauraki Gulf. A grant of $275,000 to implement a water monitoring and community engagement project in the Hauraki Gulf. A grant of $112,000 to enable the Young Ocean Explorers to produce content that focusses on addressing environmental issues facing the Hauraki Gulf, for their interactive website. The funding will also enable the organisation to undertake evaluation and research, community engagement and to translate the Hauraki Gulf footage into Te Reo Maori. A grant of $2,450 to purchase equipment for Michael Jessup to create a virtual reality game, using sustainable coastlines educational content. The game aims to engage the public with rubbish issues and prompt action to eliminate rubbish from the Hauraki Gulf. A grant of $50,000 to run a ‘Rangatahi Kaitiaki’ programme in conjunction with Umupuia Marae. A grant of $50,000 to develop a business case for Integrated Impact Bonds for permanent native forest. The work will include two case studies in the Hauraki Gulf. 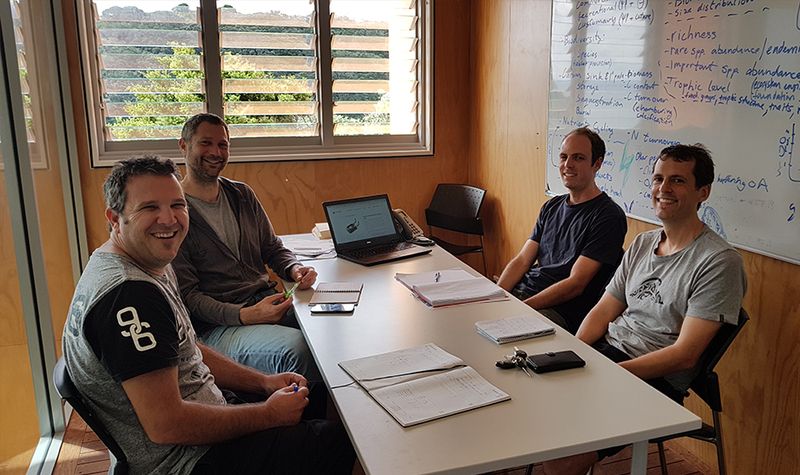 Funding was granted to establish a Shellfish Restoration Co-ordination Unit in conjunction with the University of Auckland Marine Science Programme. This project is jointly funded by GIFT ($32,000) – a Foundation North initiative and The Tindall Foundation ($16,000). The Nature Conservancy are contributing matching funding for this project. A grant of $250,000 for a series of 360 virtual reality marine experiences to engage a wide and diverse audience with the Hauraki Gulf, in conjunction with NZ Geographic and The Pew Charitable Trusts. Support of $50,000 to develop a model for co-managed marine protection for the Noises group of islands. Support of $5,000 to complete a prototype "sea cleaning water drone" developed in conjunction with Andrew Lee. A grant of $20,000 to work in conjunction with Agent-C, to develop an online platform to engage the public to help restore the mauri of the Hauraki Gulf. A grant of $150,000 for the Hilltop to Oceans ecosystem services and mitigating impacts project. The grant will contribute to the development of techniques for the restoration of shellfish species. A grant of $50,000 to investigate the viability of a seabird smart fishing assurance programme for the Hauraki Gulf. The programme would include performance standards that participating commercial longline fishers would meet to minimise the risks to black petrels and other Gulf seabirds, and mechanisms for communicating their efforts to interested communities. A grant of $50,000 to investigate the feasibility of using impact investment to support transition to a low impact high value seafood sector in the Hauraki Gulf. - Is a high-value, low-impact Hauraki Gulf fishery feasible? - Could a high-value, low-impact fishery help restore the mauri of the Hauraki Gulf? A grant of $21,000 to run a student activation and innovation challenge. A grant of $5,000 to investigate novel ways of engaging with the Waiheke community for a predator control programme. A grant of $2,000 to trial a community engagement campaign to reduce the use of single use plastic bags in St Heliers.